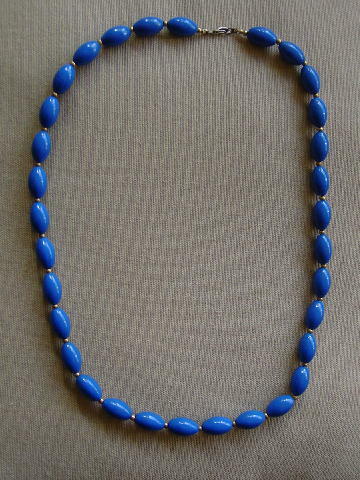 This vintage medium blue elongated beaded necklace has a metal safety clasp. There is a tiny gold-tone bead between each blue bead. It was a birthday present from her now-exboyfriend.